One of the greatest things about grad school is I get the opportunity to review many successful integrated marketing campaigns. In researching Harvey Nichols’ holiday campaign, I thought there was some valuable nuggets for marketers to take note. When you think about Harvey Nichols (HN), words that may come to mind are high fashion, luxury, and prestige. While the brand is well established, Harvey Nichols’ advertising in recent years has become more cheeky and free-spirited. 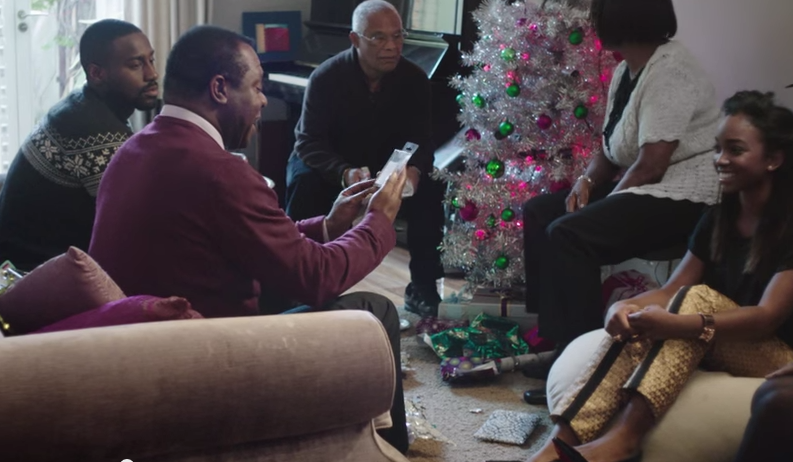 The brand’s holiday 2013 campaign provided a funny, attention-grabbing film that created a stir among consumers and marketers alike. Holiday shopping is fierce for retailers such as Harvey Nichols and its competitors Selfridges, House of Fraser, and John Lewis all competing for the same consumer’s share of wallet. Why Christmas Advertising is Important? Christmas retail shopping is the most important part of the year for retailers. Sales in November and December can account for as much as 30 percent of a retailer’s annual sales. Most retail sales in January are terrible, then rise through summer to a peak in September, then after a further lull, sales jump by an average of 60 percent to an annual peak in December. With significant revenue opportunity to come during the holiday season, retailers fight for consumers’ pockets as well as their attention. There is not only a lot of opportunity to capture shoppers’ attention and money, but also high competition. Thinkbox, a U.K. based media consultancy, reported last year that U.K. viewers watch 48 ads a day during their four plus hours of television watching. Breaking through the noise was important for the retailer to be successful in holiday advertising. Most holiday commercial ads follow a formula: family, home, and most importantly giving gifts that make people happy. Harvey Nichols took a different approach for last year’s Christmas advertising that was brave according to some industry pundits. Its Christmas advertising campaign, “Sorry, I Spent it on Myself” centered around shoppers buying gifts for themselves rather than spend the money on loved ones. Different? Yes. Bold? You bet. Lesson Two: Want to get noticed? Go against the grain. When other competitors ran 30 second ads on TV, Harvey Nichols created a short film that was distributed on its website and YouTube channel. Competitor John Lewis spent an estimated £7 million on its ‘Hare and Bear’ holiday ad campaign. Conversely, Harvey Nichols spent a fraction of that cost and used its own channels and social media platforms to distribute the film. Woven into its Christmas campaign was the hashtag, #SpentItOnMyself and a microsite where shoppers could buy ‘a little something’ for their loved ones. Going against the grain did provide some rewards. After the site launched, the unusual presents featured in its ad sold out in less than three days. Additionally, after the launch of the ad, both #SpentItOnMyself and Harvey Nichols trended on Twitter. From the perspective of the brief, success was achieved by getting consumers to talk about Harvey Nichols. Lesson Three: Use Humor as a Catalyst. Since 2009, Harvey Nichols has expanded beyond their traditional target market of women from the ages 25-45 to younger, millennial consumers. This focus has not only impacted Harvey Nichols physical space (redesigned the fourth floor to target younger consumers), but also its marketing approach. Harvey Nichols’ Christmas campaign used an integrated approach of advertising, social media (via the #SpentItOnMyself hashtag) and in-store promotions to create a campaign that reached both traditional and millennials shoppers. A key insight for HN that helped fuel the social media fervor is that millennials not only want to share content that is relevant, but also want to be in the ‘know.’ Among U.K. millennials who shared content on social media, younger millennials (25-29) used social media more expressively to earn respect. The HN campaign is smart because it uses humor as a catalyst to get millennials to share its video and get its message out that the brand is a great place to get the latest gifts for themselves and others. Marketing Magazine summarized why using humor is a big win, “Make people laugh and they will not only share an ad with their friends and family, but with humor the second best emotion at driving brand recall, they will most likely remember the brand for years to come. Recall is key in retail to get consumers to remember the brand when the need occurs. HN made a bold move to use humor during the holiday season that paid-off. Humor might not work best for your market, but I think was great about this campaign they knew humor would work well with its audience. Harvey Nichols is known for forward-thinking fashion and provocative advertising. Its recent Christmas integrated campaign, “Sorry I Spent it on Myself,” is effective with consistent messaging about how the retailer is cheeky, fun, and playful. The campaign epitomizes effective creative execution: execution must hold the attention in order for the message to be processed. To stand out from the crowded marketplace, Harvey Nichols went bold and tapped into shoppers’ guilty pleasure of shopping for themselves. The premier luxury retailer extended the reach of their campaign to millennials by leveraging YouTube, Twitter, Facebook, and a microsite to tell shoppers its okay to spend a little on their love ones, but more on themselves. Because millennials are hyper-connected the amplification effect was very powerful; this message resonated high and they embraced and shared it often. The short film on YouTube has more than 660,000 views and trended on social media after its release. Neuro-Insight, a U.K. neuromarketing research agency, measured how females and males responded to the Christmas advertisements. Results were not surprising. This ad was highly effective with women where the expensive Harvey Nichols gifts are strongly encoded to memory, which in turn, linked strongly to the Harvey Nichols brand. Females respond positively to the tongue-in-cheek humor and the specific Harvey Nichols items featured were very well encoded in long-term memory. In order for brand recall to occur, first there must be a need and then the brand can be recalled from memory. Creative mediums must establish a link in memory between the need and the brand such as when need arises the brand name will come to mind as satisfying the need. This Christmas campaign achieves memory linking by mentioning the name often throughout the video and again when mentioning the tagline. Finally, the ‘Sorry, I spent in on myself’ tag line is very well encoded as is the key verbal message ‘A little something for them, a bigger something for you’. Ultimately this campaign stays true to Harvey Nichols brand and uses humor to poke a little fun at gift-giving by tapping into our natural tendencies of selfishness. Being bold has paid off handsomely for Harvey Nichols. It remains a competitive force in the luxury retailer space because of innovative thinking in fashion, but also smart brand choices reflected in its advertising. Keeping true to its vivacious and fun personality, Harvey Nichols uses humor to relate to its consumers. Consumers may have spent their money on themselves; however, I think it is safe to say that they will make it up on their love ones’ birthday, Mother’s day, and other special occasions with Harvey Nichols help. Rachel DiCaro Metscher has worked with many organizations to build their communications and marketing programs, including Fannie Mae, American Psychological Association, and The Princeton Review. She is currently working in the DC metro area building content marketing programs from the ground up.